The alarm system transformer is the unsung hero of the security system. 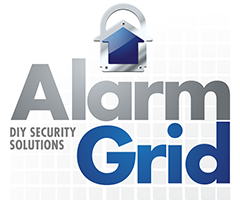 While users often focus on their control panel and their security sensors, the alarm panel transformer is working diligently to keep the entire setup running. They are essential for any alarm setup. Buy system transformers here. Let's take a look at the anatomy of a security system. First, there's the panel. This is brains of the setup. Then there are the add-ons, such as security sensors, life-safety sensors, keypads, wireless repeaters and more. Finally, there is the power supply. This includes batteries and, of course, the system transformer. And without the system transformer, the rechargeable battery pack won't even work, since it receives its reserve power from the transformer. Users should remember that the alarm system transformer is primary power source for an alarm system. The battery is only there as backup. The alarm system transformer plugs into the wall outlet, and it will keep the system running as long as it is receiving electricity. This is almost always the best source of power available. And all the while, the transformer will be supplying backup power for the battery as well. If the electricity goes out, the battery will be ready to take over. Nearly every type of alarm system requires a specific type of transformer for receiving power. There are few distinctions to be made here. Each type of system requires a different level of provided power, and the transformer that is used will be designed accordingly. Additionally, there's also the AC vs DC debate. This refers to the type of electrical current that the transformer provides. With DC power, polarity is important, and the power wires must be properly arranged. Remember, black is negative (-), and red is positive (+). But with AC power, polarity does not matter, and either colored wire can go to either terminal.